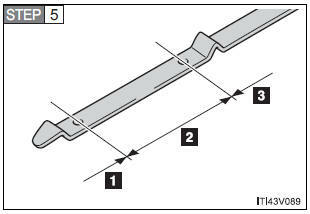 Make sure that the cover is securely installed in its original position. 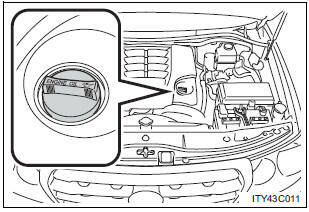 Install the filler cap, turning it clockwise. Used engine oil contains potentially harmful contaminants which may cause skin disorders such as inflammation or skin cancer, so care should be taken to avoid prolonged and repeated contact. To remove used engine oil from your skin, wash thoroughly with soap and water. Dispose of used oil and filters only in a safe and acceptable manner. Do not dispose of used oil and filters in household trash, in sewers or onto the ground. Do not leave used engine oil within the reach of children. 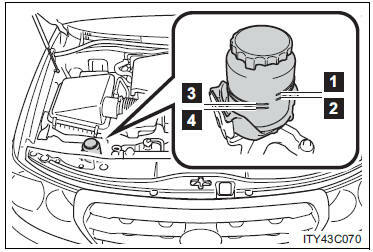 Be sure the engine oil filler cap is properly retightened. 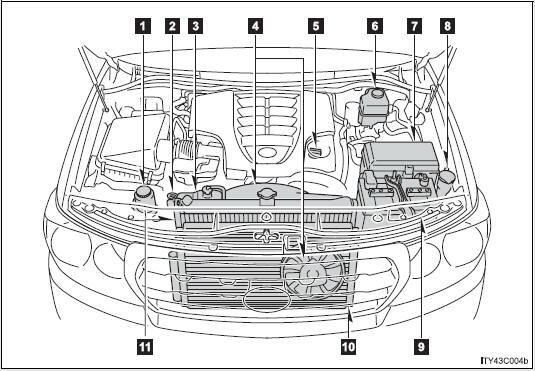 The coolant level is satisfactory if it is between the “F” and “L” lines on the reservoir when the engine is cold. 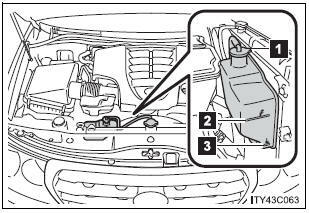 If the level is on or below the “L” line, add coolant up to the “F” line. Only use “Toyota Super Long Life Coolant” or similar high quality ethylene glycol based non-silicate, non-amine, non-nitrite, and non-borate coolant with long-life hybrid organic acid technology. “Toyota Super Long Life Coolant” is a mixture of 50% coolant and 50% deionized water. 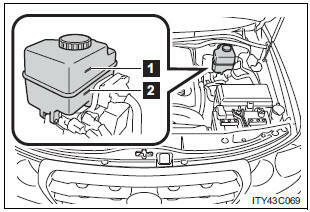 (Enabled: -31°F [-35°C]) For more details about engine coolant, contact your Toyota dealer. Be sure to wash it off with water to prevent it damage to parts or paint. Depress the brake pedal more than 40 times. 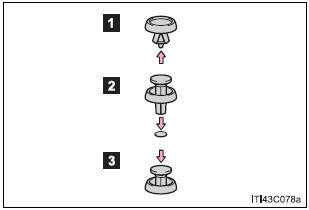 Remove the reservoir cap by hand. 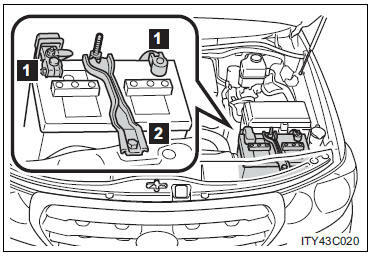 Add brake fluid up to the “MAX” line. If you do not follow the procedure above, the reservoir may overflow. If fluid gets in your eyes, flush your eyes with clean water immediately. Hot: Vehicle has been driven around 50 mph (80 km/h) for 20 minutes, or slightly longer in frigid temperatures. (Fluid temperature, 140°F - 175°F [60°C - 80°C]). Cold: Engine has not been run for about five hours. (Room temperature, 50°F - 85°F [10°C - 30°C]). 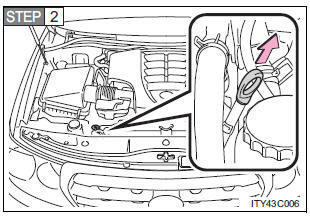 Depress the brake pedal with the shift lever in “N”. Only perform a slow charge (5A or less). The battery may explode if charged at a quicker rate. If electrolyte gets on your skin Wash the affected area thoroughly. If you feel pain or a burning sensation, seek medical attention immediately. If any washer does not work or the warning message appears on the multi-information display, the washer tank may be empty.